At age 20 Eric Kuvykin began his career on Wall Street. Mr. Eric Kuvykin is a serial entrepreneur, Visionary and marketing specialist with focus on banking, finance, technology, marketing and data. Eric Kuvykin held various positions in retail, institutional and private investment firms in the capacities of broker, trader and investment banker, in both private and public sectors. Kuvykin specializes in mergers and acquisitions (M&A), capital structuring and restructuring, sales, marketing, branding and connecting enterprises for maximum efficiencies. 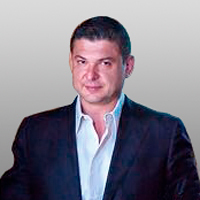 Past projects for Eric Kuvykin have included; private and public financings, managing thousands of sales people, senior management of private and public companies, founding companies in the financial, electronic payment, alternative lending, technology, blockchain and cryptocurrency sectors domestically and abroad. Eric Kuvykin is currently expanding his expertise to Big Data, Artificial Intelligence, Social Realities and associated technologies, blockchain ledgers and the implementation of such for small to midsize businesses. President of Accelerated Technologies Holding Corp.
Stock symbol ATHC. Disruptive Technology Company focused on Mergers and Acquisitions, Venture Capital, Blockchain and Cryptocurrency. Kuvykin Foundation. Helping Children in need. FinBridge Holdings Corp. The Funders’ Funder. 800Fund.com. Merchant Cash Advance Provider. PocketPayPOS. Mobile payment and point of sale system. Follow me in social networks or fill out the contact form below.